The FM577 is not recommended for new designs. The FM577 is a low-cost, low-power 65nm FPGA-based board available in the PMC form factor. 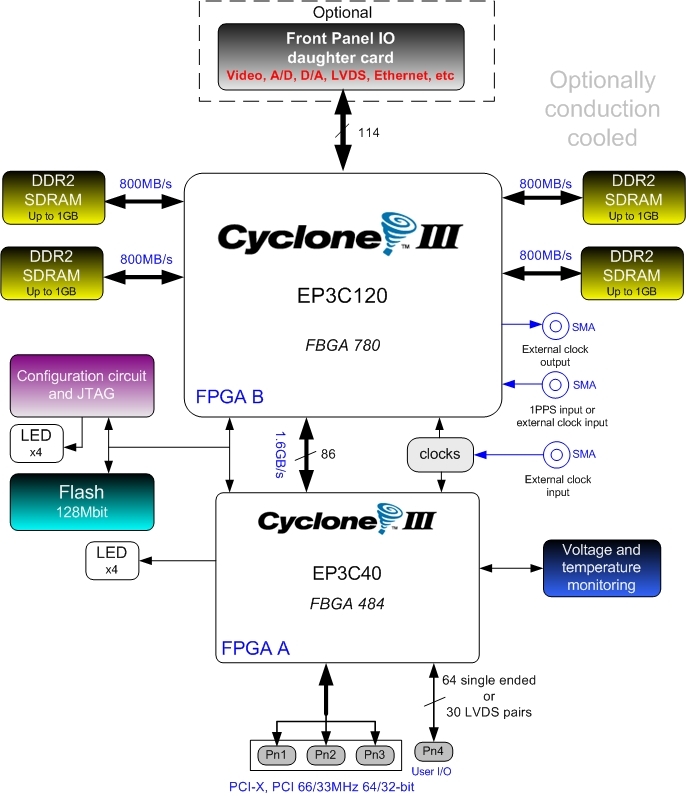 The architecture is based on two very competitive and resourceful Cyclone III FPGA devices. The FM577 offers high-functionality without compromising the performance or the ease of design. The board also features high-density DDR2 SDRAM memory devices for memory-intensive algorithms. The FM577 can operate in thermally challenged environments. It is suitable for automotive, consumer, display, industrial, military, video/image processing and wireless markets. For support questions, please visit our support forum.